Orko comes tight on this 2004 effort! This is an all instrumental album, so if you like that hiphopish, drumnbassy rawness, then don't miss this one! 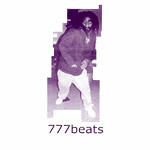 All beats produced by Orko.